It’s interesting to observe the lives of different people and examine the things they accomplish. Not in a negative or competitive way, but certainly in a way that we might learn something to help us improve. In this instance, we’re pondering the subject of time. People like entertainer and business mogul Steve Harvey and creator, writer, executive producer Shonda Rhimes come to mind. Each of them currently have or have recently had multiple (and might I add wildly successful) projects on television. In addition, both have a number of projects outside of that medium. They are two of the hardest – working people in the entertainment business right now. The conception and creation of projects, the planning, the development, the execution of the business side of things, then the artistic and entertainment side of things (in Steve’s case actually being the talent), and oh by the way, both of these people have personal lives and families. How is what they do even humanly possible? And this is just one example that I can think of in the moment. 2. Why is it that some people can extract so much more value from the same 24 hours than do so many others? For that second question, we need a whole other blog post. But in considering the above-mentioned things, the amount of time contained in each individual day, and how we segment our days according to our activities, many of which we have in common, it occurs to me that for the majority of us, our mornings are the most important part of our days. 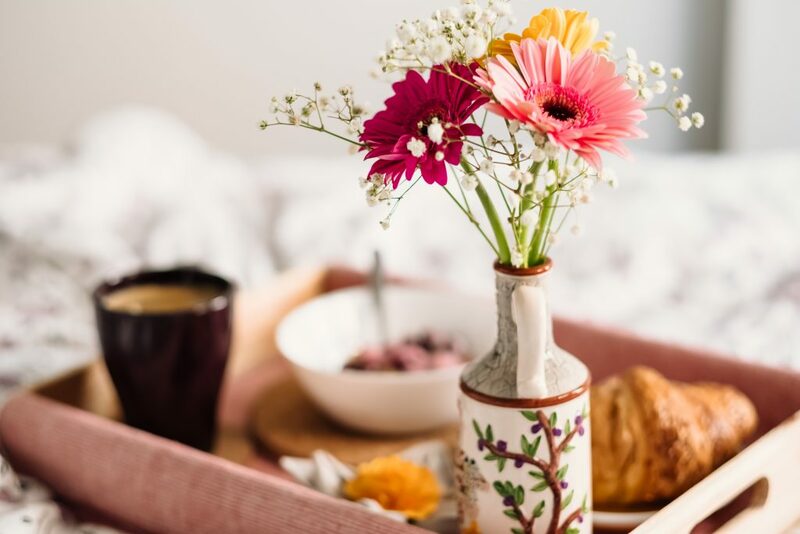 In them, we begin our thoughts and plans for the day, start the day’s activities, and whether consciously or (I fear most often) unconsciously, we set the mood for the remainder of our day. So mornings are indeed important. With that in mind, I have created a simple little reminder for you based on the acronym G.O.O.D.M.O.R.N.I.N.G. 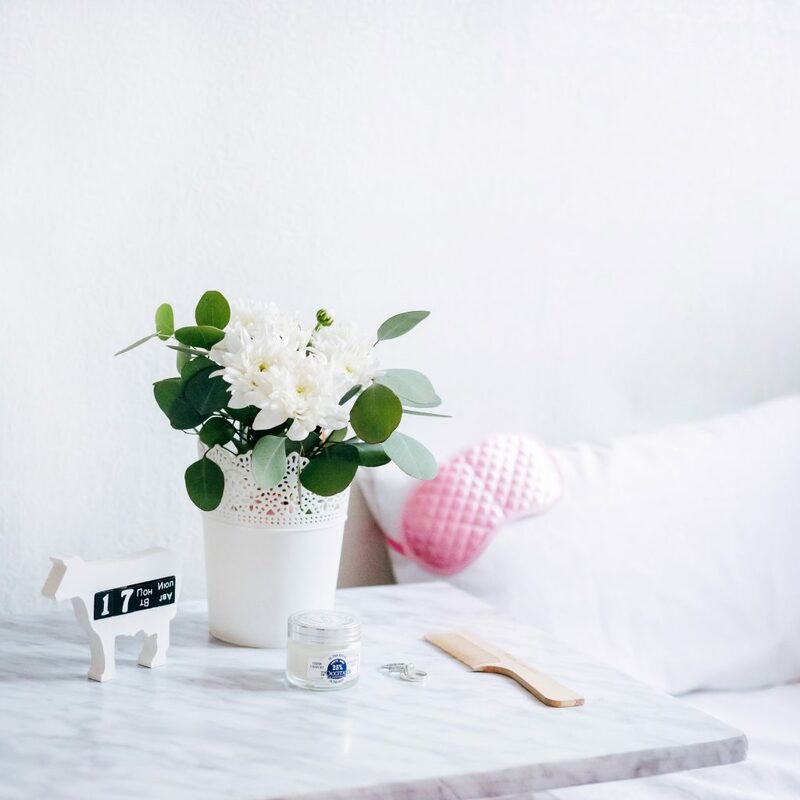 to help you to be a little more thoughtful and purposeful about your mornings. I hope it can be a tool that helps you to make your mornings and your days better, more productive more fruitful. Get up early to greet the morning. Okay, first of all stop groaning and rolling your eyes. This is certainly not the first time you’ve heard this advice. The thing is that for many of us, we get up at precisely the time we have to begin our activities to take care of the things the day is going to require from us; the things we know we have to do. And we do all of those things without really thinking about them. They’re the things we do every day, day in and day out. “Yeah, so what Kimberly?” you say. Getting up early adds time. We discussed earlier how everyone has the same 24 hours in each day. However…the trick to that is that not everyone uses those 24 hours in the same way. Getting up early can add time to your day in two different ways. First, it gives you a jump on the day. If you get up at 6 a. m. when everyone else gets up at 7 a. m., you have an additional hour to accomplish what you set out to do for the day, so you can accomplish more than the average person who has a life similar to yours. Another way to look at it is not just getting up early (because maybe you already get up early in the morning…talking to you, moms with school-aged kids), but getting up earlier. When you get up earlier in the morning whether it’s 15 minutes, 30 minutes or 2 hours earlier in the morning, it’s like you’ve added that same period of time to your day. So instead of a mere 24 hours, it will seem as if you have 24 hours plus 15 minutes, or 24 hours plus an additional 30 minutes, or 26 hours in your day rather than only twenty-four. That’s the effect it can have on your life. Do you think it would be helpful to be able to add just 30 minutes to your day? Of course it would. And that’s only one example of what getting up early does for you. Here’s a few others. Helps to normalize sleep patterns and to get better quality sleep. When I get up early, my body tends to wind down earlier in the evening. I want to go to bed earlier when my body is telling me I should, and as a result, I sleep more soundly. Allows for consistent exercise routine. Okay, I still struggle with this, but if you exercise in the early morning, you’re less likely to put off exercising or skipping it altogether to do other things (because it’s early! ), and you can exercise uninterrupted. Helps you to eat healthier. Think breakfast, people. The meal you now actually have time for. Helps you to be more productive. Getting a head start means you have the time to do things well, be better prepared and even to complete one or two additional tasks before the day really gets going. 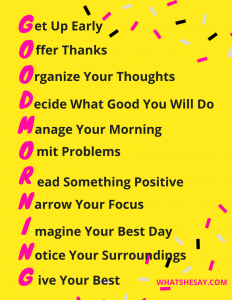 All of these things can help you to enjoy a more productive day. Helps to reduce stress. The more time you have to prepare in the morning, the less rushed you are. When you have ample time to do what’s required, you don’t feel anxious or overwhelmed. Allows you to experience quiet time. I have always enjoyed periods of complete silence, and I have learned to LOVE this time in the morning. No phones, no one texting you every two minutes. No one demanding your attention. On mornings when I’m up especially early (sometimes as early as 3:00 or 3:30 a.m.), I sit and think or have a morning conversation with God. Sometimes, I like to listen to the birds when they first begin their morning singing. (I know, sounds hokey, but I do. When was the last time you stopped to listen to birds sing?) The songs of birds in the morning often reminds me of my grandparents, and memories of spending time with them. That always makes me happy which means I start my day off from a good place mentally. Offer thanks for the new day. Most of us take mornings for granted. We go to bed at night, tuck the covers around us or pull them over our heads, and just assume that we’ll wake up the next morning, same as always. But for thousands of people around the globe that were alive as recently yesterday, that wasn’t the case. They DIDN’T live to see another day. So in addition to making the most of each day we’re given (because there’s no guarantee that we’ll get to see another one), we should be genuinely thankful for it as well. Organize your thoughts based on what you know the day will bring and the tasks you must do. Take time in the morning before you actually get involved in your tasks and chores and activities of the day to think about what you’re to do, and what you want to accomplish by the day’s end. I find that in taking the time to think things through in this way (ahead of time and while I can think without being rushed or in the middle of something), I’m much more apt to accomplish those things that are most important to me. Decide what good you will do today. Doing good deeds for others helps us to do our part to make the world in which we live a little better. It also helps us to feel good about ourselves. Did you know that volunteering is not only a good thing to do ideally or morally, but it’s also a healthy lifestyle? Volunteering actually has health benefits for you! Manage your morning preparational activities and routine. Many of your morning activities are routine. You do the same things each morning to prepare yourself for the day. So it’s beneficial to you to make that routine as simple, easy and efficient as possible. Examine what you do daily to begin your day. Anything that you can do to save time, save individual steps, make your tasks easier or cause the least expense of energy and mental resources to complete will help to make your day better, and get you off to a smooth start. Omit as many openings for potential problems as possible. Quickly review the day’s planned activities and obligations for any possible issues or problems. You can’t know and control everything, but if you do your best to handle what you are aware of, then the unexpected things which may pop up are fewer in number and more easily focused on to get resolved. Read something positive, inspiring or informational (learning something new). 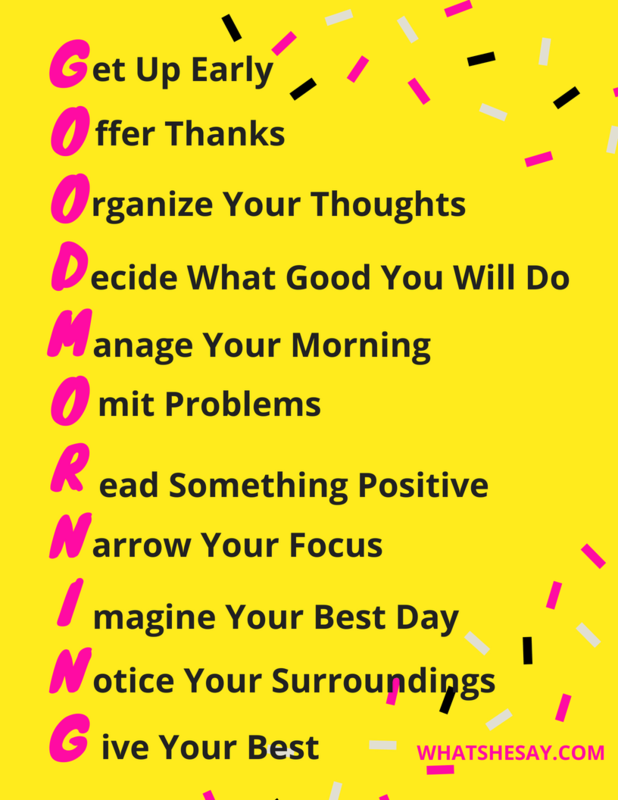 Beginning your day by reading positive or inspirational messaging helps to initiate and promote a positive mood and environment for the day. Positive thinking promotes better mental and physical health. And learning something new helps to stimulate your brain (Source), releases endorphins to make you happy, and adds information so that your collection of knowledge grows in some way daily. Just think, if you learn something new each day how much more improved you’ll be in just a month, and then a year! Narrow your focus to the “present”, knowing this day is unique and will never come again. While we all feel the need to be aware of what’s approaching in the future, remember to be mindful of what is occurring right now. Keep your main focus in the present, and concentrate on what you have to do today. In doing so you’ll have less stress, be calmer and you’ll be better able to deal with today’s issues. Imagine this as your best day ever. How often do we begin our days with thoughts like “Here we go again,” “It’s just another day,” or something similar? Instead of feeling ho-hum, non-committal to a new day, or envisioning a new day as simply a carbon-copy of 1000 others already gone by, try a new tack. Look at each new day as being your best day yet! Anticipate that something really cool or exciting will happen to you today, and make your expectation for something good, and new and wonderful. By positioning your perspective positively, you’re more likely to see the positive things in what you experience throughout the course of the day. Live in the moment. Pay attention. This day, no matter what it contains is a one-time gift. You will never, ever, ever get this day again. As you move through the day, from one task to another, from one situation to the next, make the effort to pay attention to the details of it. Look for what makes the day unique. Be aware. Strive to see something new in the things you may have seen a hundred times before, but never made the effort to really notice. Think of it this way, if you knew this was your last day, how would it change what you see in it? When all is said and done, the most anyone can ask of you, or that you can require of yourself, is that you give your best. If you give the best you have to give on this day at this specific moment in time, what more is there? Remember that doing a few things well and completely is better than attempting to do many things that end up not being accomplished nor done to your satisfaction. As always, if you like this post, please share it with your family and friends. Thanks!